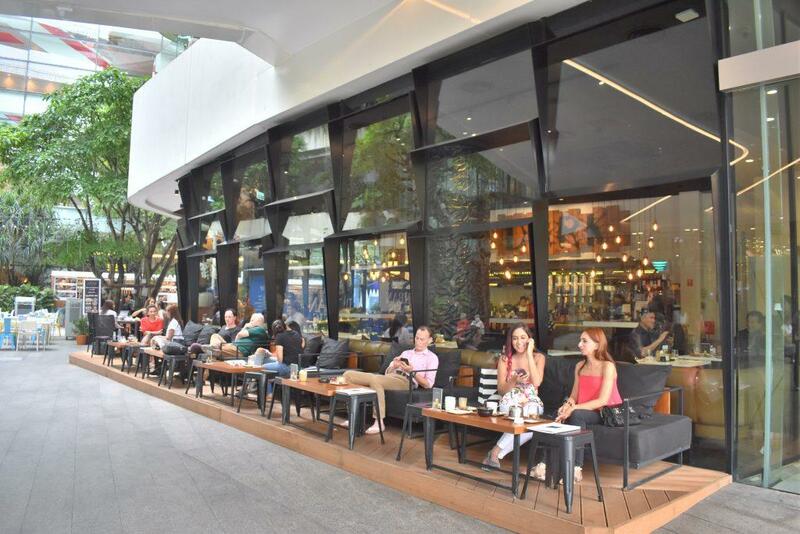 EmQuartier opened in March 2015 in the Phrom Phong area of Sukhumvit Road. 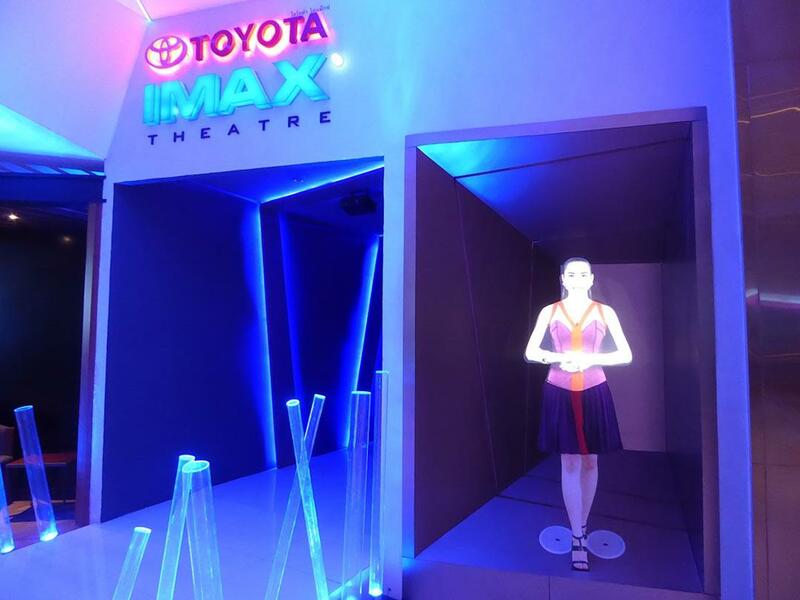 It’s a luxury mall featuring an ultra-modern futuristic design. 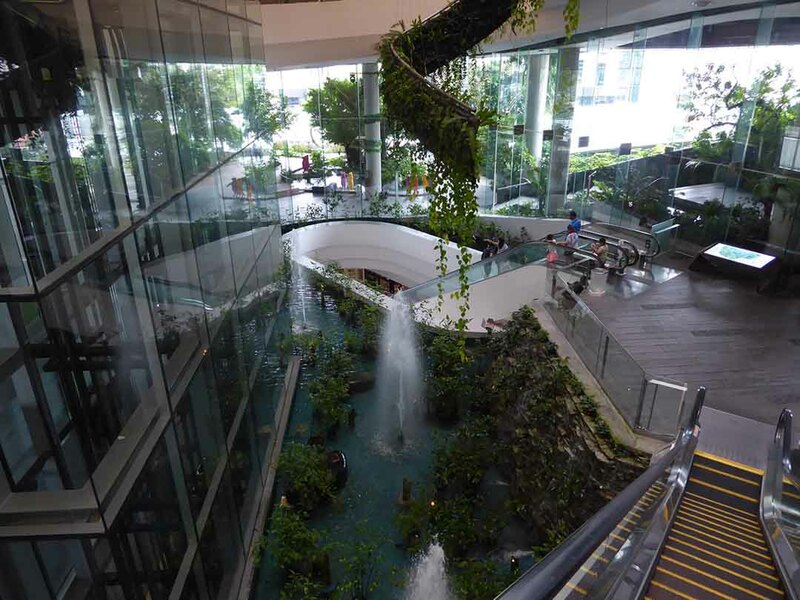 There are three distinct zones built around a central concourse complete with a 40m high waterfall. The three zones (Quartiers) are Helix, Waterfall, and Glass. The zones linked on each floor by open and enclosed walkways. 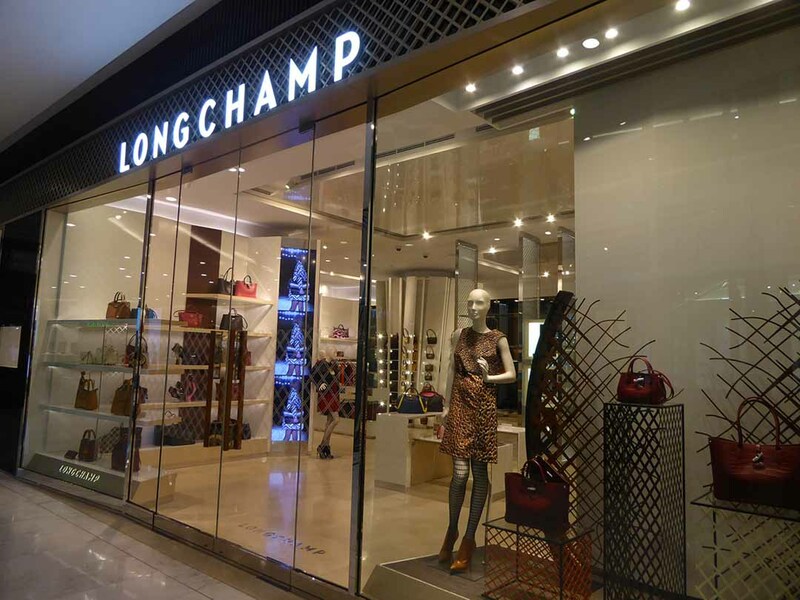 EmQuartier shopping is a mixture of luxury designer brands including Prada, Jimmy Choo, Chanel, & Longchamp which are to be found on the lower levels and International high street favorites such as Zara, Uniqlo, H & M, and Superdry that occupy the upper levels. 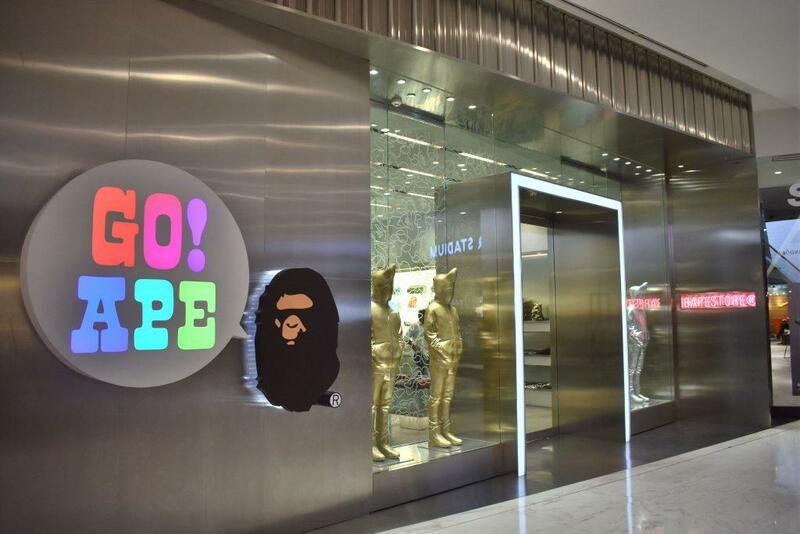 There are over 400 brands available throughout the mall. 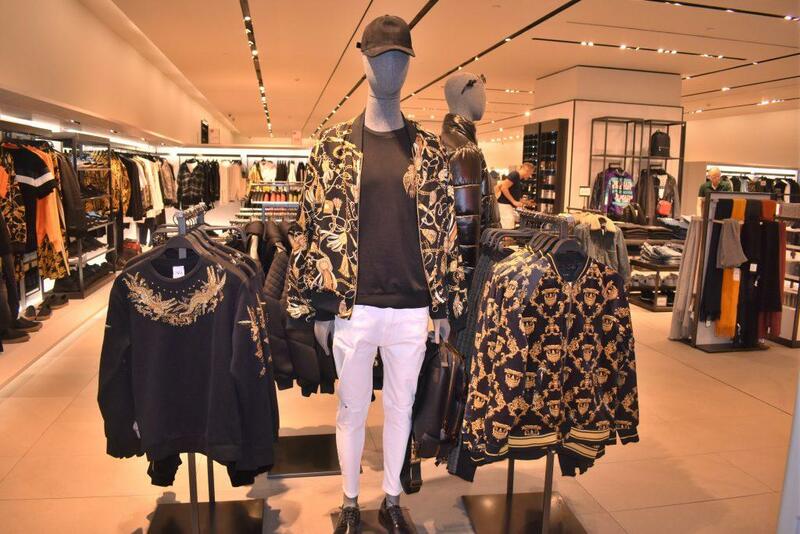 The ground floor shopping is purely luxury brand stores. 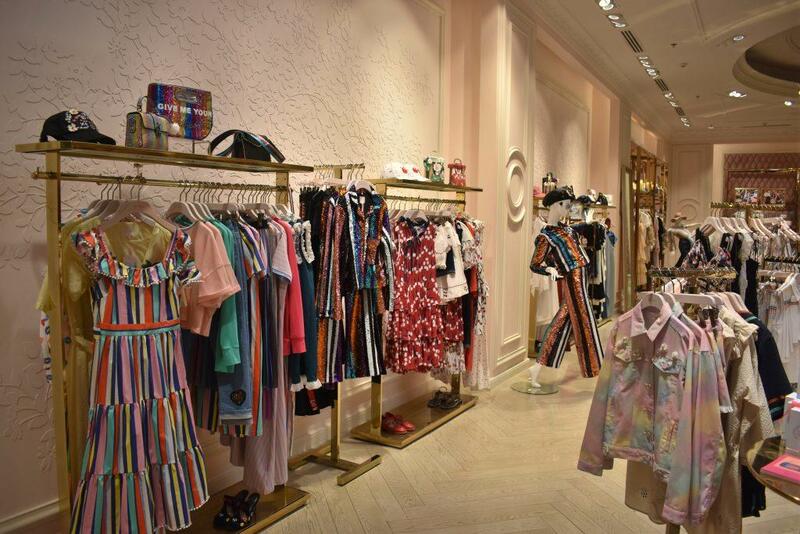 Here you will find the latest luxury trends from famous names including Kate Spade, Michael Kors & Longchamp. Also, Luxury watch and jewelry icons such as Rolex, & Patek Philippe. The ground floor also features health & beauty stores. 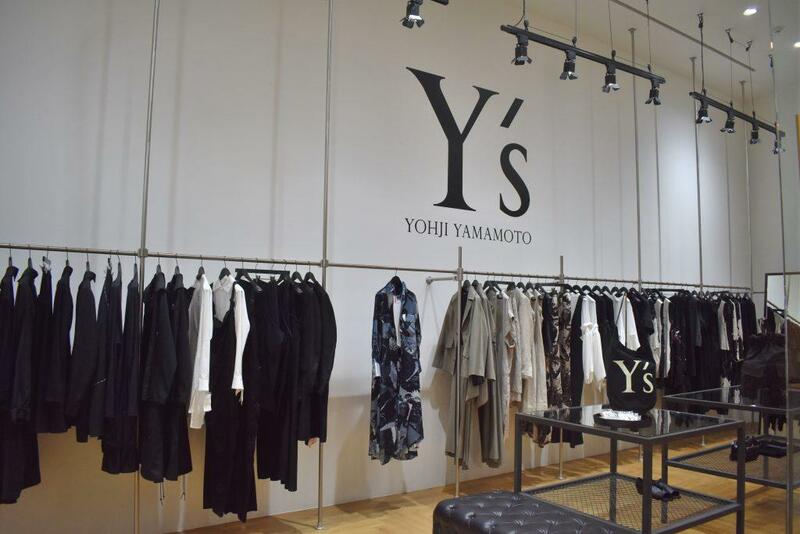 Elsewhere on the floor is a promotion space with regular discount sales of non-luxury goods. 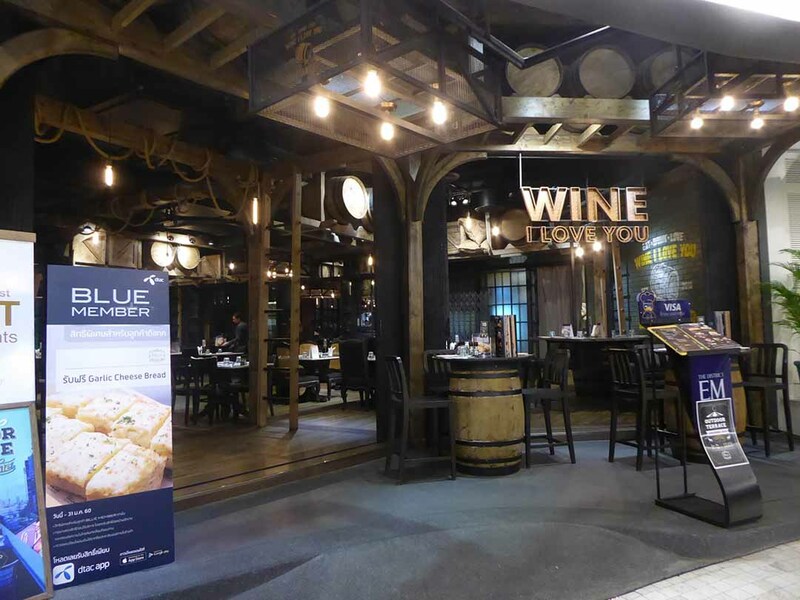 In the Waterfall Quartier is Gourmet Market & Jones the Grocer from Australia. 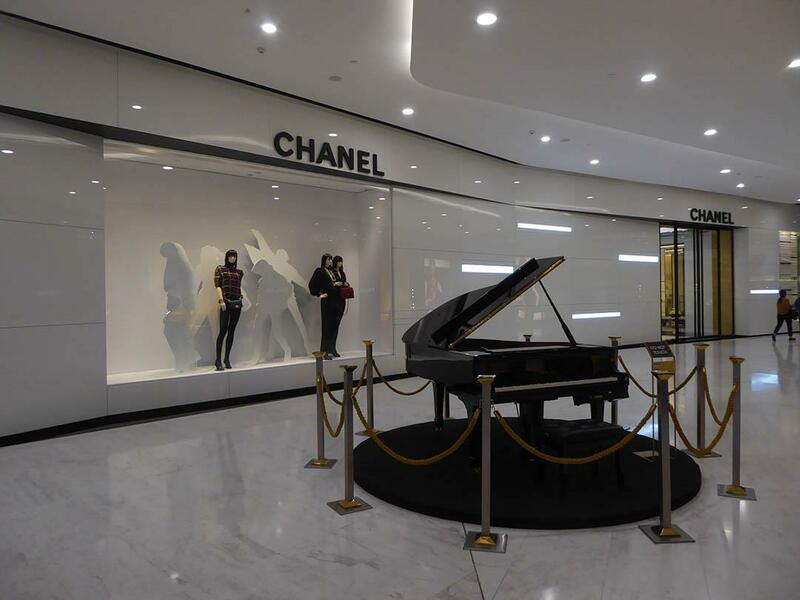 The Mezzanine Floor features more famous luxury brands such as Chanel, Balenciaga, Prada, Miu Miu & Jimmy Choo. 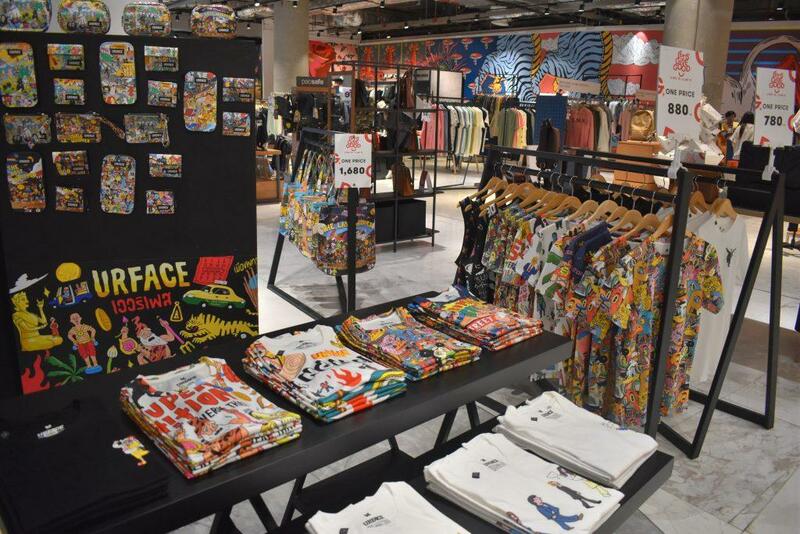 Alongside are popular premium brands including Paul Smith, Bathing Ape, Rag & Bone, Diesel & DKNY. 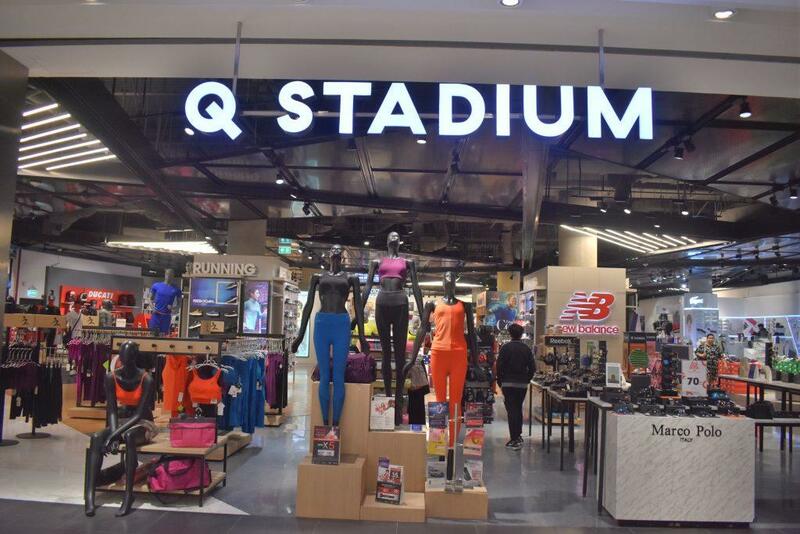 Q Stadium is home to International sportswear brands, Adidas, Under Armour & Nike. Well known high street fashion houses dominate the first floor of EmQuartier. Here you will find fashion favorites H&M, Zara, Jaspal, and Superdry. 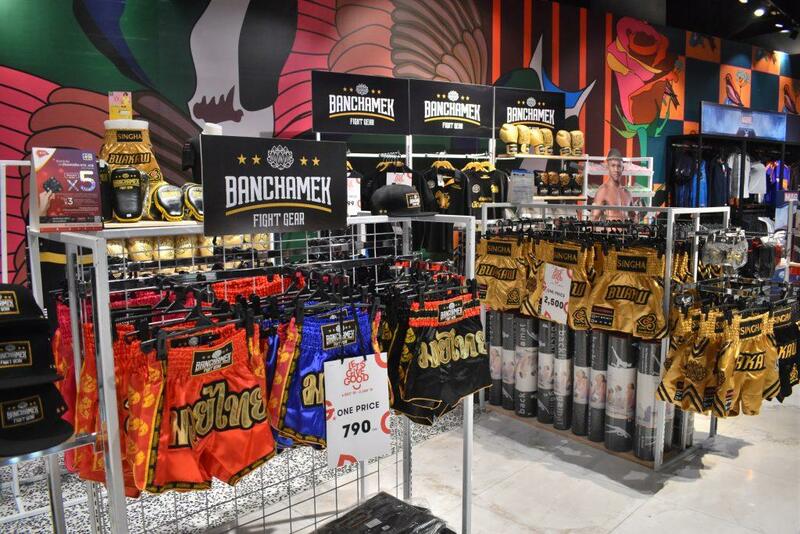 The second floor of Q Stadium features more sportswear brands. 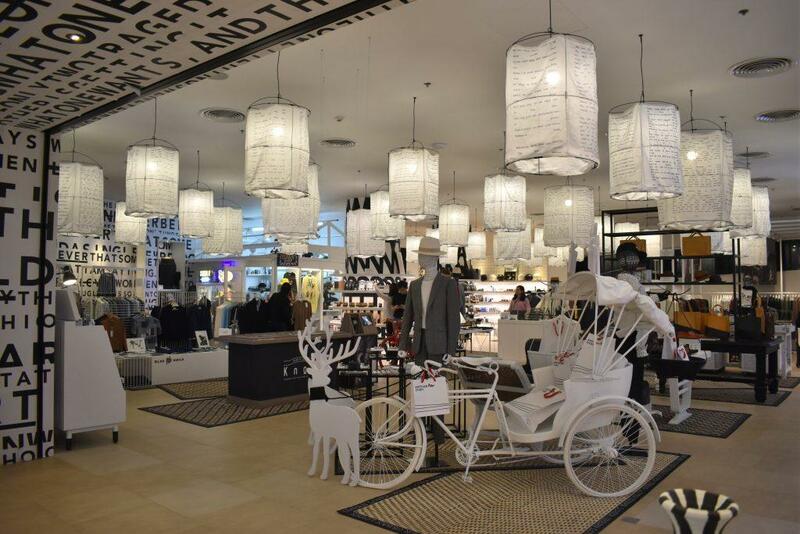 Also on this floor is Another Story menswear full of cool looking clothing & accessories. 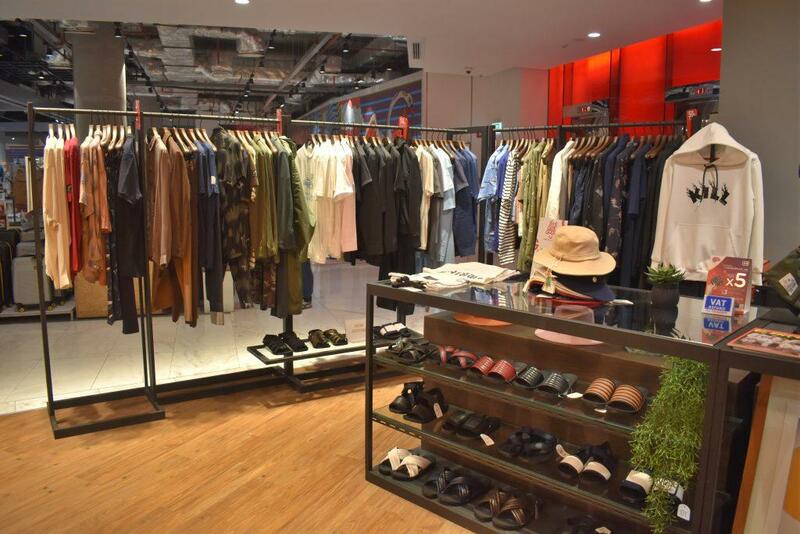 The second floor of EmQuartier features more high street fashion stores. 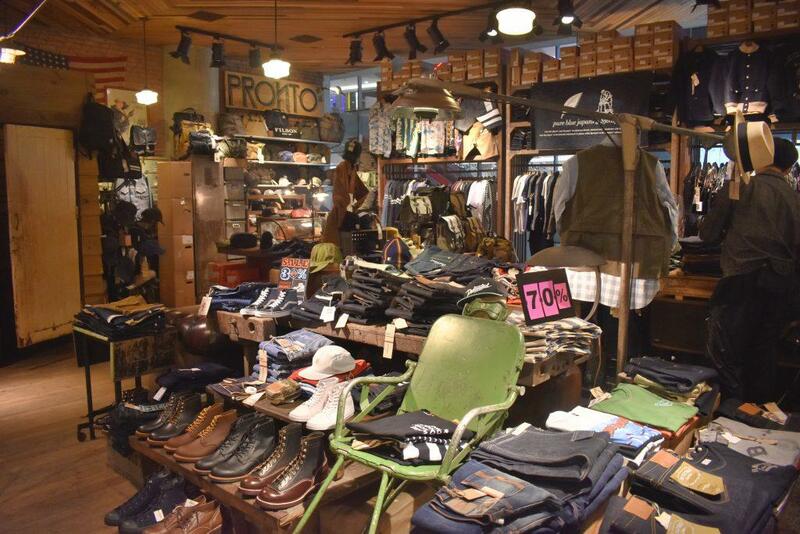 There’s the popular Japanese chain Uniqlo, Britain’s Fred Perry, Pronto’s distinctive Jeans & the quirky designs of Lyn Around. 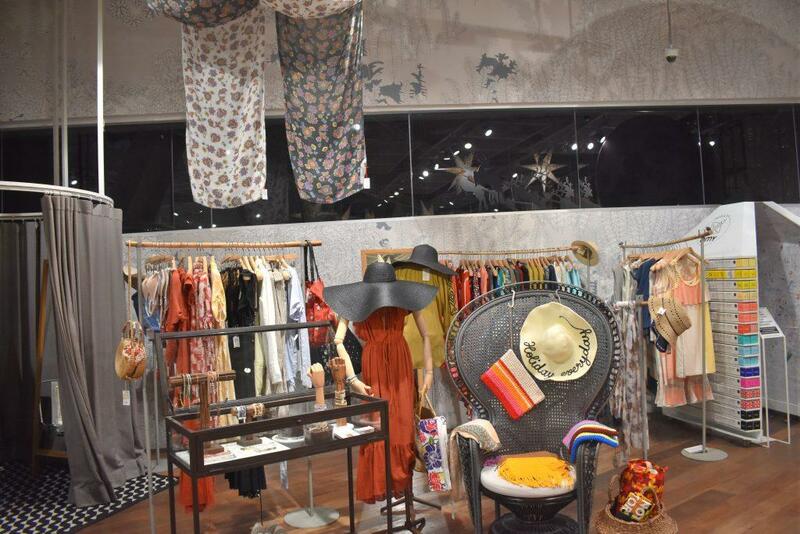 Qurator is an open zone featuring ladies & men’s fashion. Highlights include the colorful designs of the Fly Now brand, & the bold designs of Kloset. There are a number of Pop-Up stands around the floor including many from popular local designers. Ones to look out for are the elegant women’s designs of Pitchana, and the beautiful dresses for special occasions of Cher’Z. 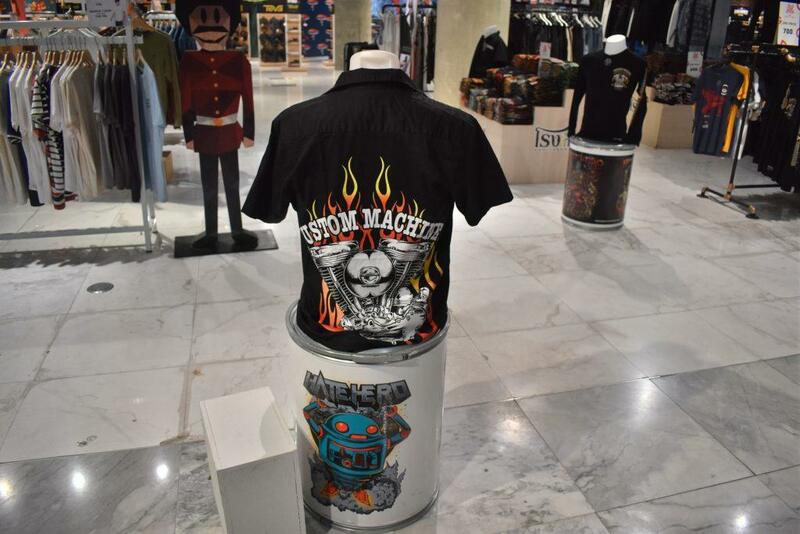 For men, there are the stylish designs of Painkiller & the stand out men’s streetwear of Six P.M. Also check out the colorful shirts of Urface & the classic Americana of Custom Machine. 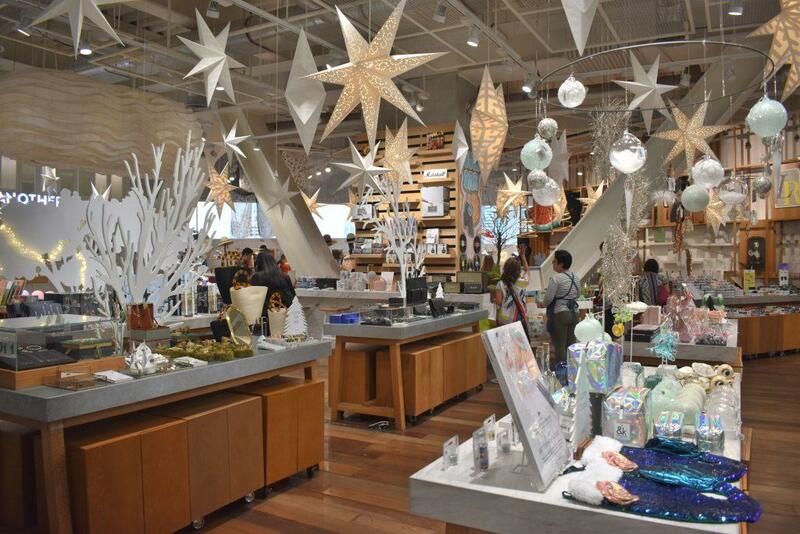 The third floor of EmQuartier is home to lifestyle & technology shops. 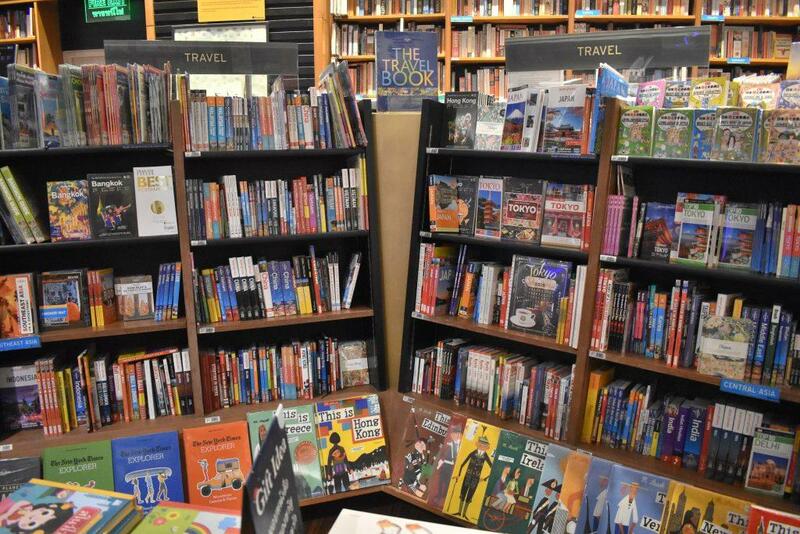 There is a branch of Boots & the bookstore Kinokuniya. 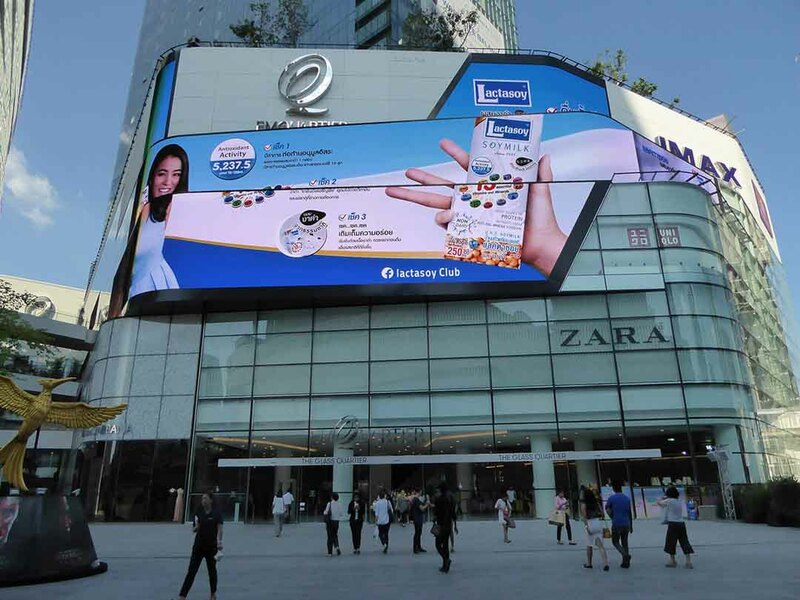 IT, gadgets and phones can be found at Sony, Banana, Sound City & Samsung. There is also a bank zone. 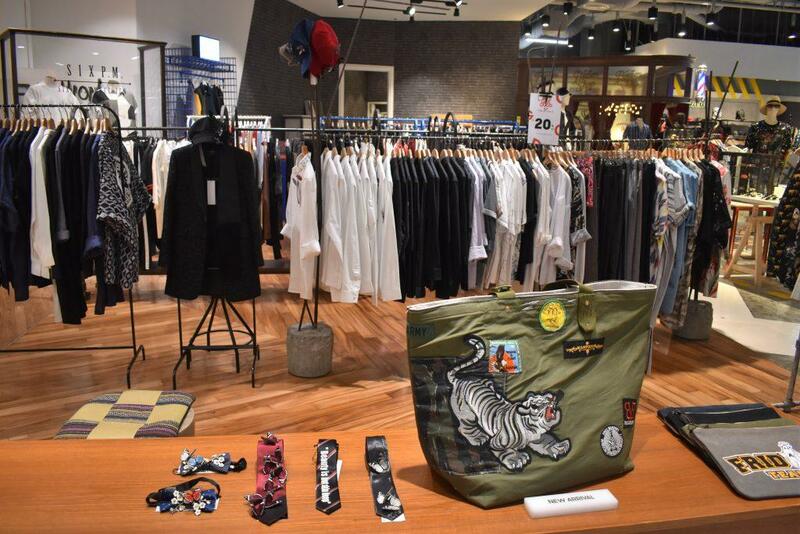 The highlight of EmQuartier’s fourth floor is Another Story, a collection of cool unique lifestyle products including gadgets, stationery, homeware, art & vintage items. There are also more beauty & health shops. 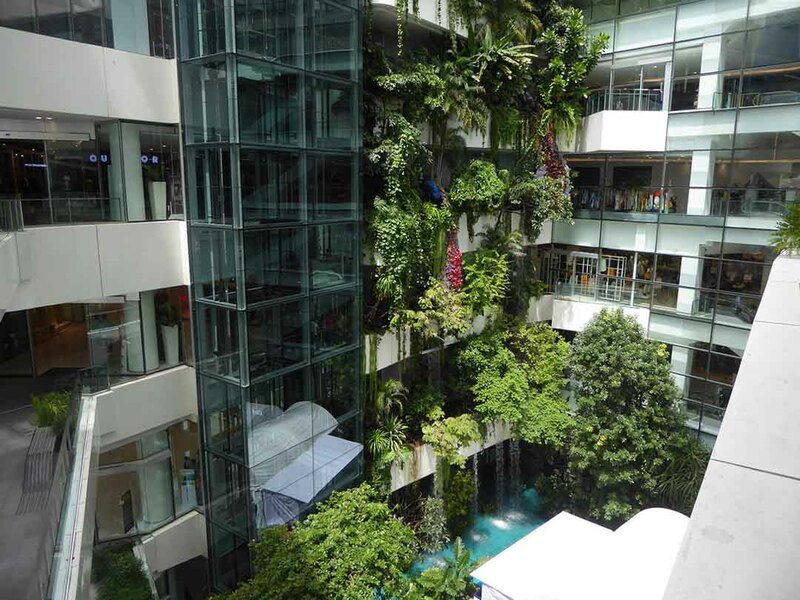 The 5th-floor of the Helix Quartier features an open-air water garden with trees, a pond, flowers, gazebos, and benches. There are viewing platforms with great views of the city, the Sky Train, and Benjaseri park. There is also a children’s play area. 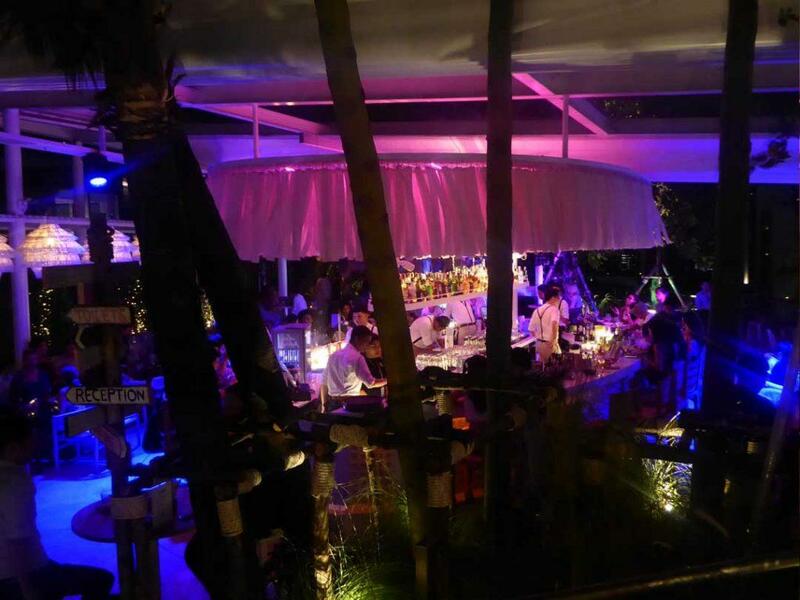 A Skybridge connects the garden with a rooftop bar and restaurant called Escape which opens at 17.00 daily. 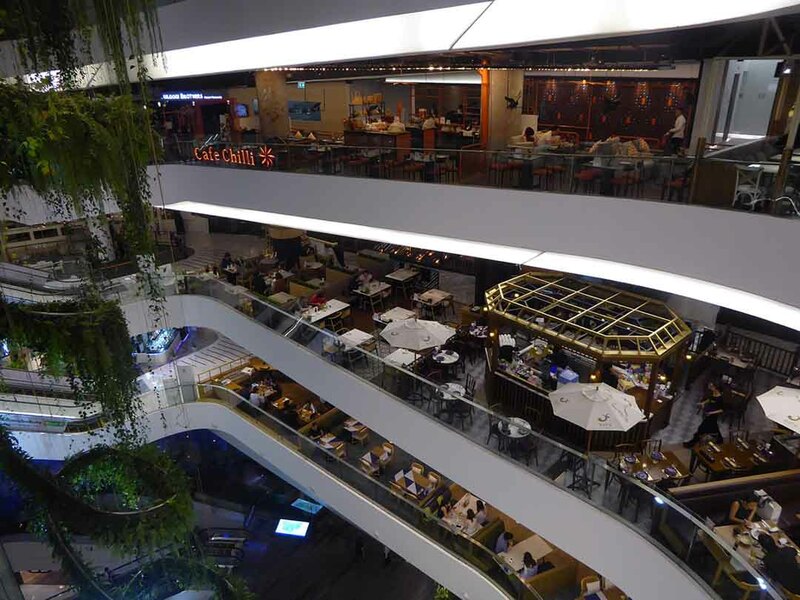 Floors 6 – 9 of the Helix zone feature over 50 restaurants placed along a spiral walkway which circles a 100m long rainforest chandelier suspended from the glass ceiling. Most of the restaurants are glass-walled allowing great views of the city while you are dining. 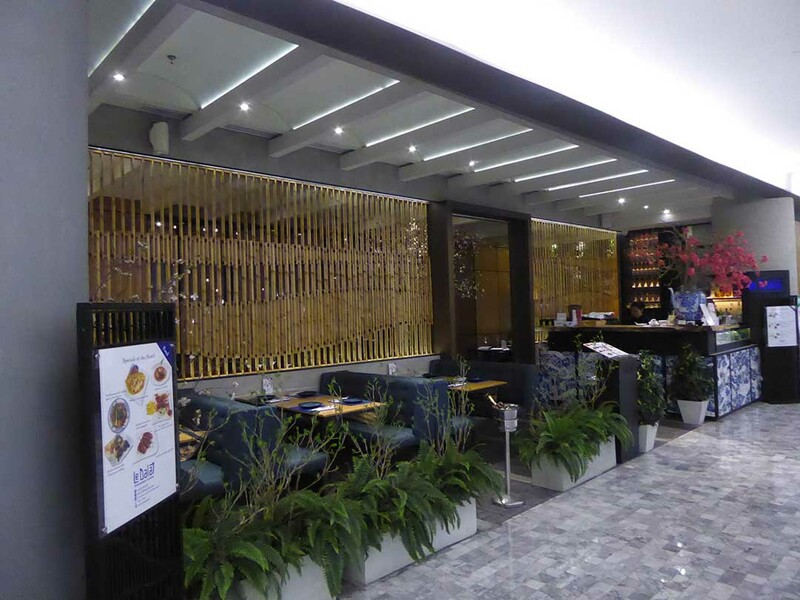 There are more dining options & cafes around EmQuartier. 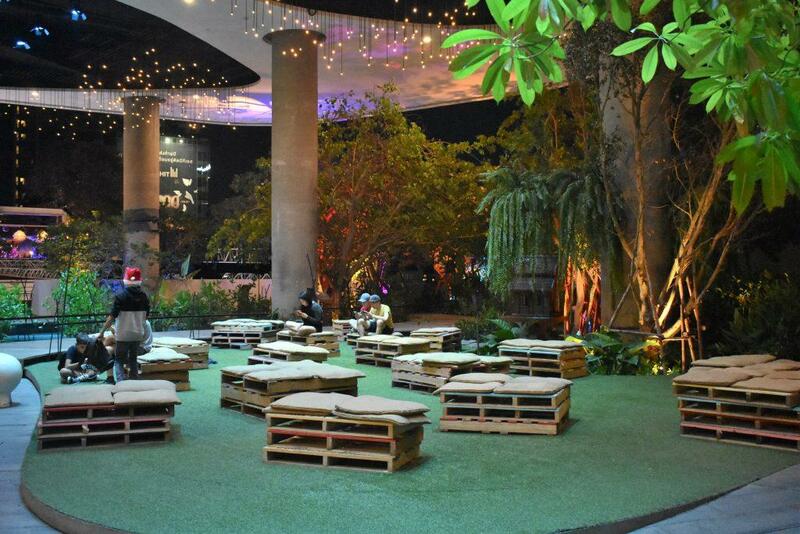 A pleasant spot is D’Ark on the ground floor with an open air patio opposite the waterfall. For great coffee, there is Roast Coffee Grinders on the 1st floor. There is a Harrods Tea Room & Ice Cream Parlour on the ground floor. 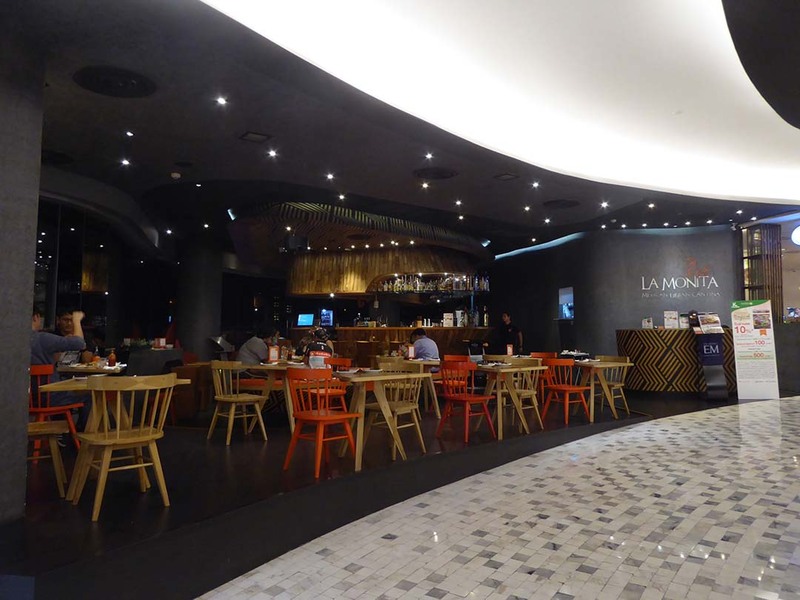 The Basement food court features less expensive outlets such as Burger King, KFC, McDonald’s, Au Bon Pain, Krispy Kreme, Starbucks & Swensens as well as Asian & Thai cafes. On the 45th floor of the Bhiraj Tower which is part of the Glass Quartier is a glass Sky Cliff though it is not yet open to the public. 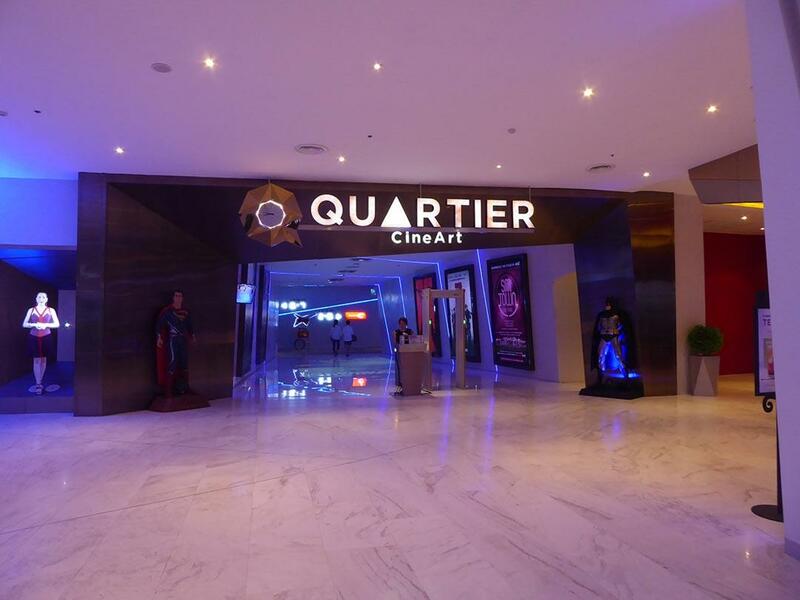 The state of the art Quartier CineArt Multiplex and IMAX cinemas can be found on the 4th floor. 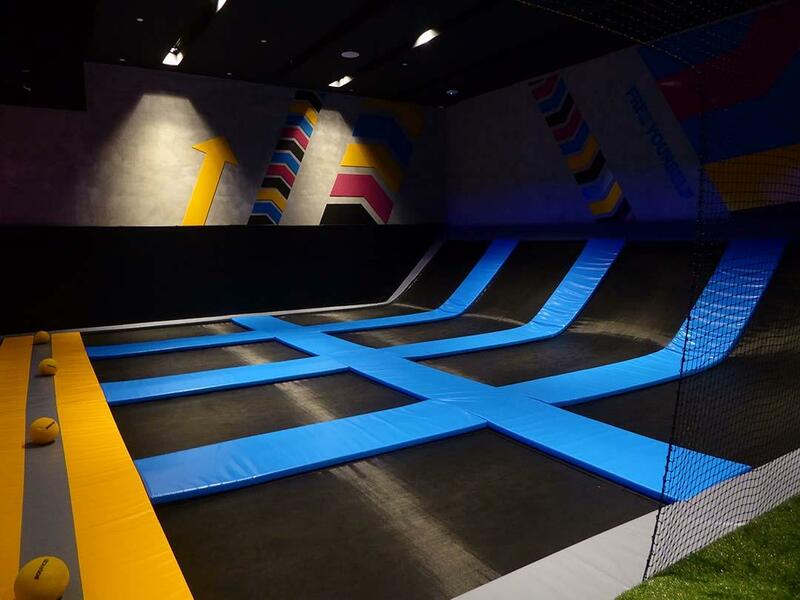 A free running/jumping arena popular with children and adults called Bounce is next to the cinema. 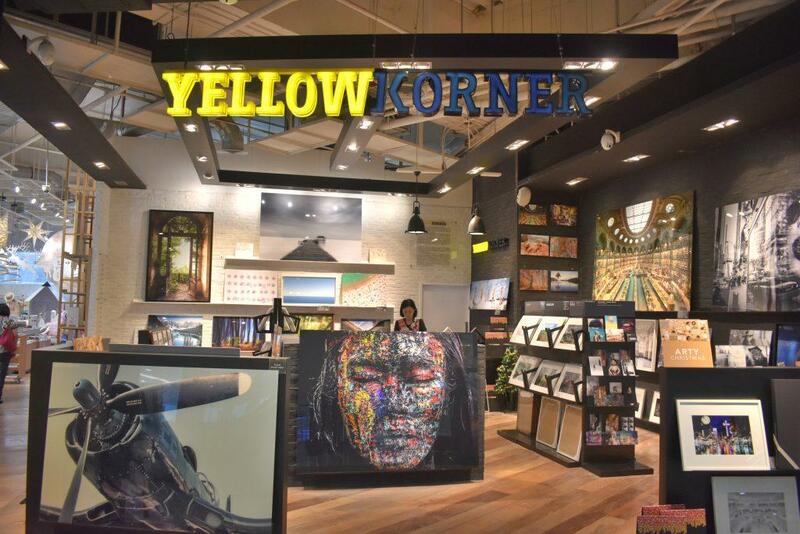 TIP – Foreign Tourists can get a Tourist Card which gives 5 – 55% discount at participating stores in the EmQuartier and a 5% discount at the Gourmet Market as well as a 6% VAT refund. The card is also valid for a 5-10% discount at participating restaurants. 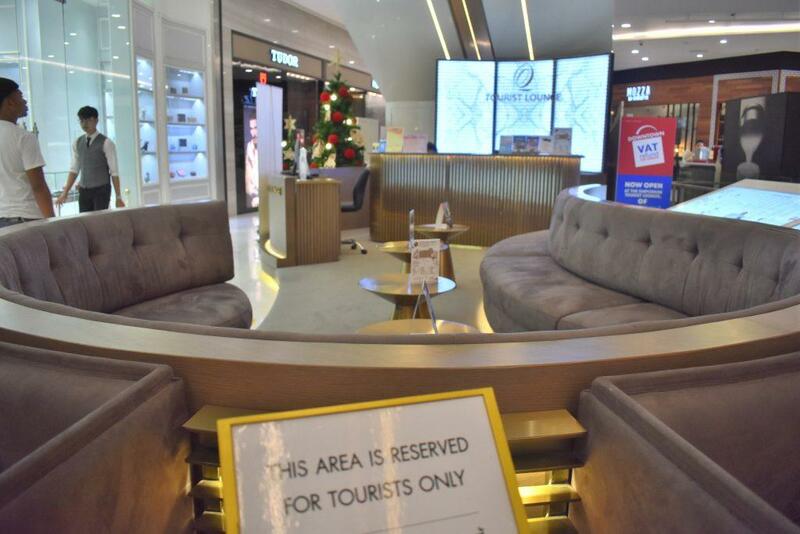 The card can be obtained at the Customer & Tourist Service Center on the 2nd floor of the Waterfall Quartier on the production of your passport where you can also pick up a list of establishments participating in the discount offer. 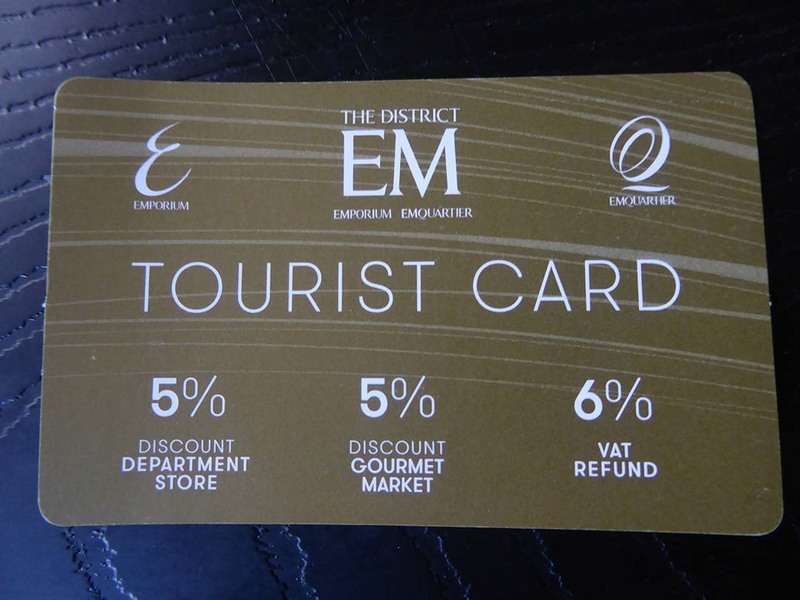 The tourist card is also valid for use at the Emporium Mall. There is also a VIP Platinum Tourist Card corporate partners & reciprocal overseas shopping partners. This gives a 10% discount in the department store. EmQuartier has a tourist lounge on the ground floor of the Helix Quartier building. Services include free bag deposit, free internet, mobile charging, free beverages, and comfortable seating with English-speaking staff. 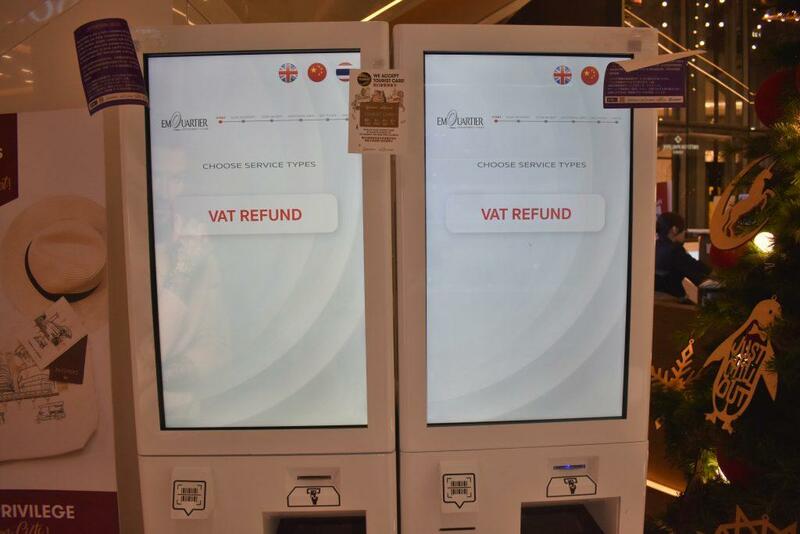 Next, to the tourist lounge are VAT refund machines. 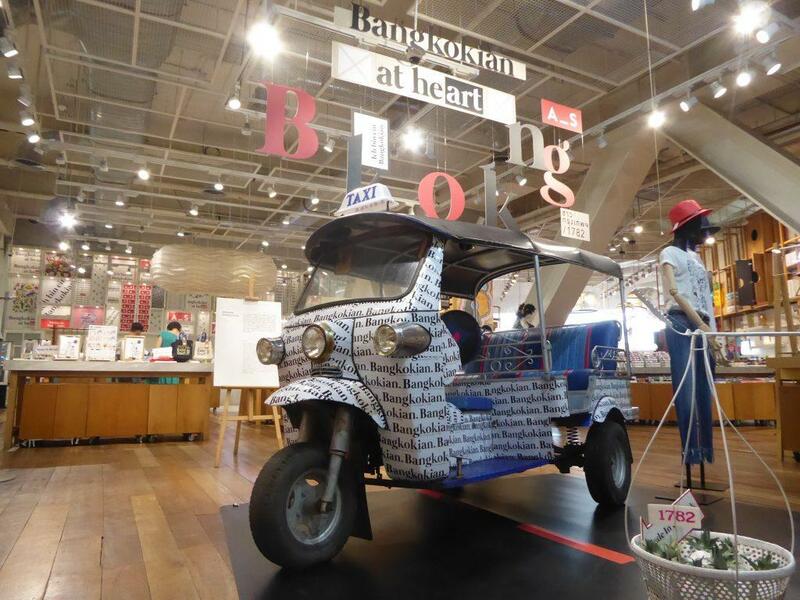 The EmQuartier is in the Phrom Phong area of Sukhumvit Road. 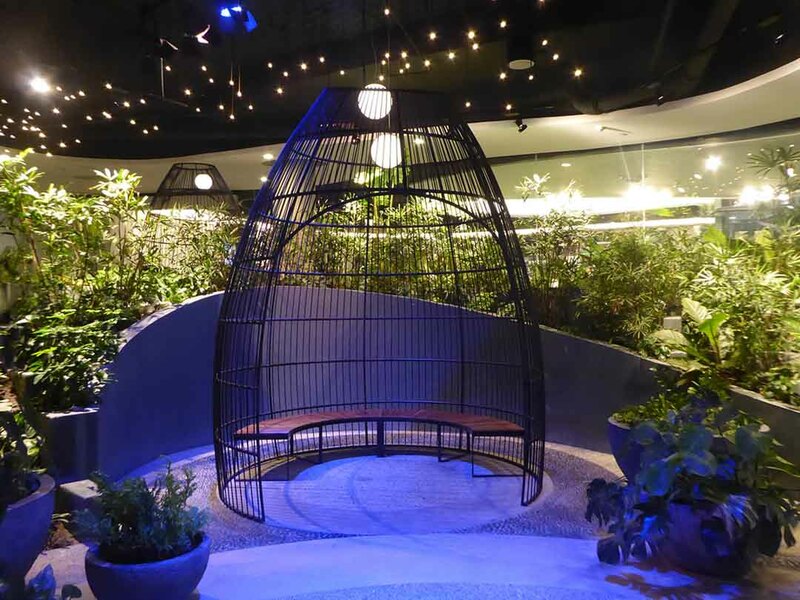 It connects to the BTS Phrom Phong station concourse by a walkway which also connects to the Emporium mall which is opposite. The layout can be confusing for a first-time visitor due to the different zones. A map of the mall can be obtained at the information desk just inside the main entrance leading from the BTS station and at other information points around the mall.